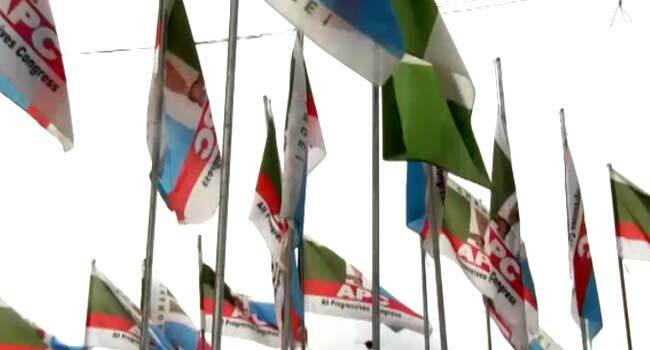 Ogun State House of Assembly aspirants on the platform of the All Progressives Congress (APC) have demanded that the national leadership of the party recognise them as candidates eligible to contest the state assembly election in 2019. The 26 APC members made the demand on Monday at a press briefing held in Abeokuta, the state capital. They urged Nigerians to prevail on the APC National Chairman, Adams Oshiomole, to recognise them as the party’s flagbearers in the polls, having won the primaries conducted on October 7 in the state. One of the aspirants, Mr Segun Idowu, told reporters on behalf of the aspiring lawmakers that they fear that their names may have been substituted. According to him, this is because the Independent National Electoral Commission (INEC) Form CF001 has not been presented to them, even after the expiration of the deadline for submission of names and particulars of candidates. Idowu stated that the aspirants have demanded that the mandates given to them by their constituents be restored if their guess was right. He, however, said the aspiring lawmakers have pledged their loyalty to President Muhammadu Buhari. He added that they would work for the re-election of the President in the build-up to the general elections in 2019.